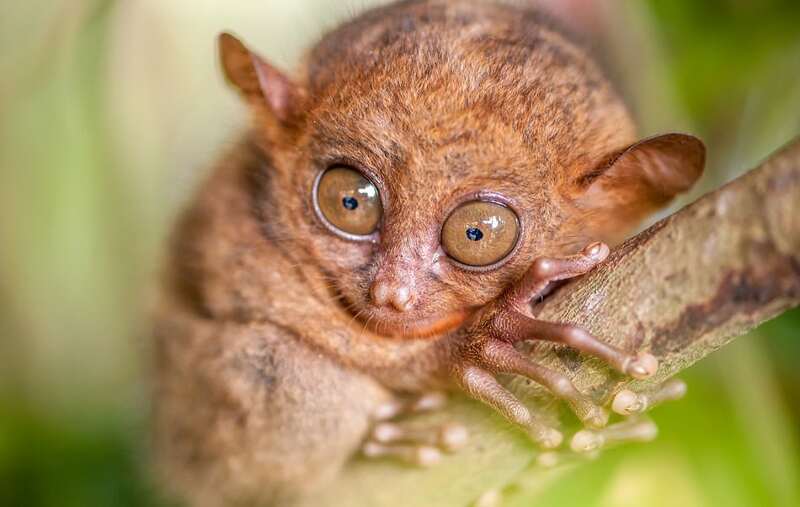 The tarsier has large goggling eyes and a well-developed sense of smell with large, membranous ears that are almost constantly in motion. The tarsier has especially long ankle bones, a short body, and a round head that can be rotated 180°. Their fur is thick, silky, and colored gray to dark brown.